in a Volkswagen. Having spent some time with the vehicle, we can conclude he wasn’t exaggerating. 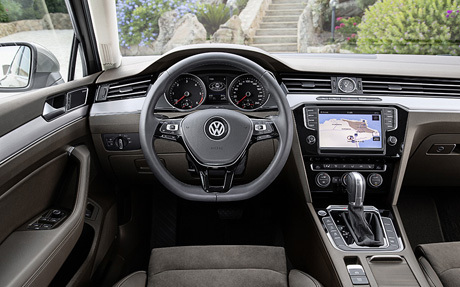 To start with, it is the first VW model to come with an all-digital instrument cluster (similar to the one used in the new Audi TT) and a head-up display. Other new features not found in its predecessor include automatic emergency braking (available at speeds of up to 65km/h) and automatically calling for help in an accident if the driver or passengers are unable to do so. But those new gizmos alone do not make a winning car. 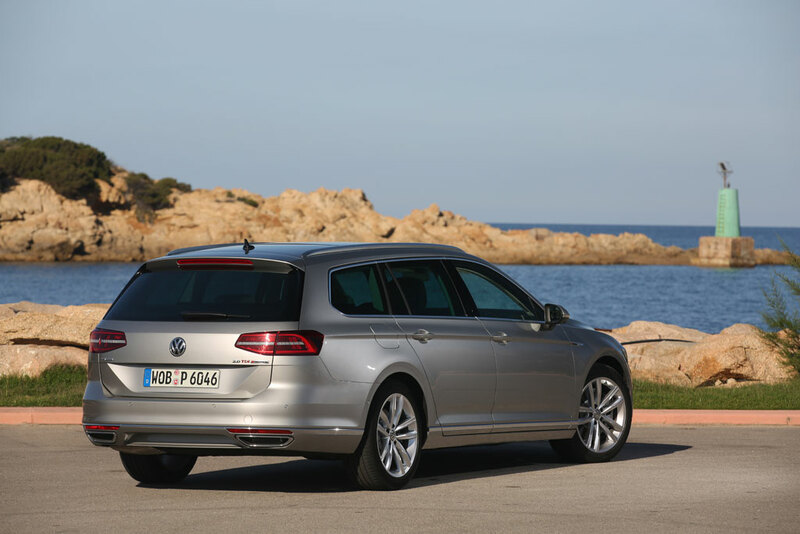 To fully appreciate the new Passat, we could start by comparing it with its predecessor. In the eighth-generation model, it is a completely re-engineered car, from styling to chassis and engine. 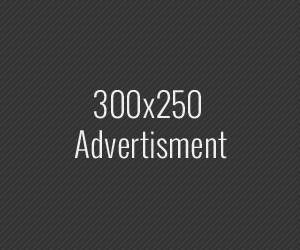 Styling-wise, it leans more towards conservative than bold, though this is not a bad thing, as it fits in well with its unassuming image. The radiator grille seamlessly flows into the headlight cluster, giving its “face” a sporty “wraparound look”, with similar design cues to those seen on the Golf and Scirocco. A prominent crease line runs along its flanks, creating a distinctive side profile. Its LED tail-light clusters, too, are just as snazzy. During braking, the red LED lights “flip” from one horizontal line to three vertical lines. According to VW, the brake lights’ flipping action makes the car more perceptible to other road-users, which increases safety. The trapezoidal tailpipes that are mounted flush with the rear bumper are just as aesthetically pleasing, but the biggest changes lie underneath the “skin”. 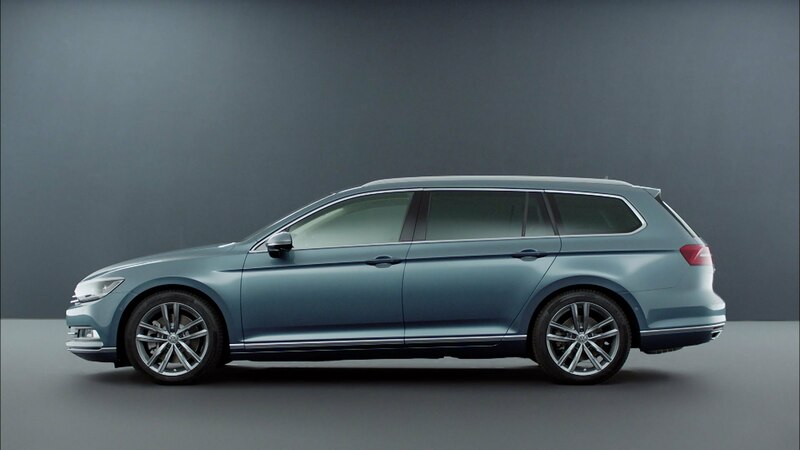 Built on VW’s versatile modular transverse matrix (MQB) platform, the new Passat is up to 85kg lighter (about the weight of an adult) than its predecessor. More significantly, and despite the largely similar overall dimensions (the new model is 2mm shorter, 14mm lower and 12mm wider), its wheelbase has grown a disproportionate amount: by 79mm to 2791mm. 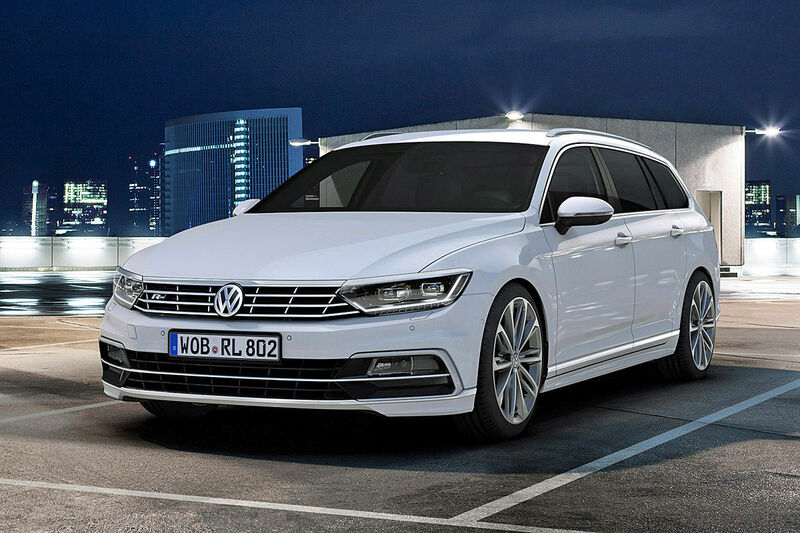 This makes the Passat even roomier on the inside than its segment rivals, such as the Toyota Camry and Nissan Teana. The cabin has a premium feel about it. Echoing the aforementioned grille, the “wrap-around look” continues inside the cockpit, with three aluminum inlay strips stretching across the entire dashboard, interrupted only by the analogue clock and instrument cluster. Buttons on the centre console are logically laid out around a new 8-inch touchscreen infotainment system. In addition to the usual navigation and multimedia functions, it also has cameras that give a bird’s-eye view of the car. The feature, which is found mostly in high-end vehicles, is useful for manoeuvring in tight spots. Besides the latest gadgetry, the Passat also impresses with its attention to detail. The cupholders are lined with soft rubber and the front door pockets with felt, so as to prevent the items stored within from rattling. The storage bin below the driver’s armrest, however, is a little too small to be practical. All told, given the raft of features it has and the quality on offer, the new car could be mistaken for an Audi, if not for the badge on the steering wheel. The all-wheel-drive estate is powered by a 2-litre twin-turbocharged diesel engine with an output of 237bhp and a dizzying 500Nm of torque. Despite how that impressive drivetrain propels the Passat from zero to 100km/h in 6.3 seconds, it can return 18.5km per litre and has a CO2 emission figure of 140g/km. In addition to the grunt and greenie cred, it also means the Passat will attract a CEVS rebate of $10,000. While this new model may have plenty of poke in a straight line, it is not as agile as a hot hatch, though its steering responses are sharp, and it goes round tight bends at speed without losing (too much) composure, especially if the driving mode is set to Sport. That mode does not turn the Passat into a GTI, but it gives the car more urgency on the move. But the suspension remains well-damped, so occupants will not feel uncomfortable on less-than-perfect roads. Besides the range-topping twin-turbo diesel tested here, other engine variants available at launch include a 1.4-litre turbocharged petrol unit and a 2-litre turbo-diesel. A further three variants (a plug-in hybrid, a 1.8-litre petrol and a 2-litre petrol) will be launched next year. The latter two engine options are expected on the local Passat when it arrives in the second quarter of next year. Both station wagon and saloon bodystyles will be offered, and VW says there is also a possibility the diesels will arrive, too. As for who will be buying these cars, VW tells us this automobile is aimed at 43-year-old males who hold key managerial jobs and are married with two kids.